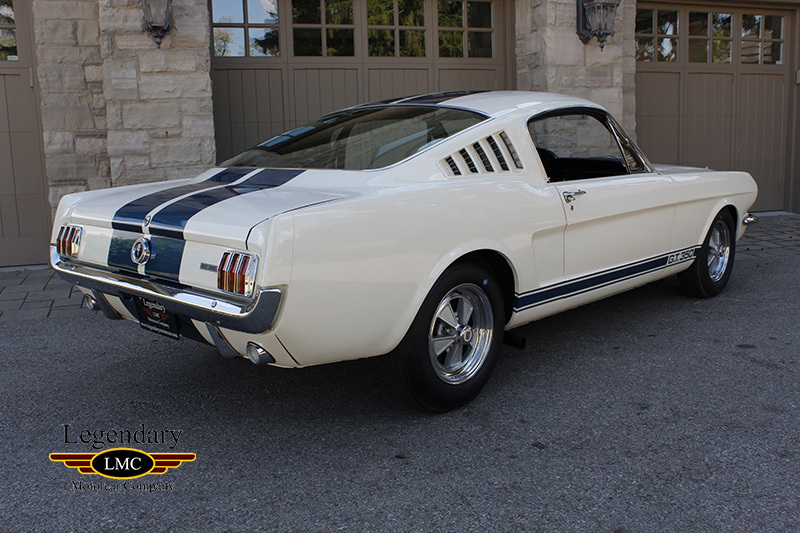 The 1965 Ford Mustang Shelby GT350 was offered in a single exterior paint option - Wimbledon White with optional blue LeMans stripes in Guardsman Blue that ran down the center of the body and with a functional hood scoop, the fiberglass hood of the car made it something of an icon on the road. 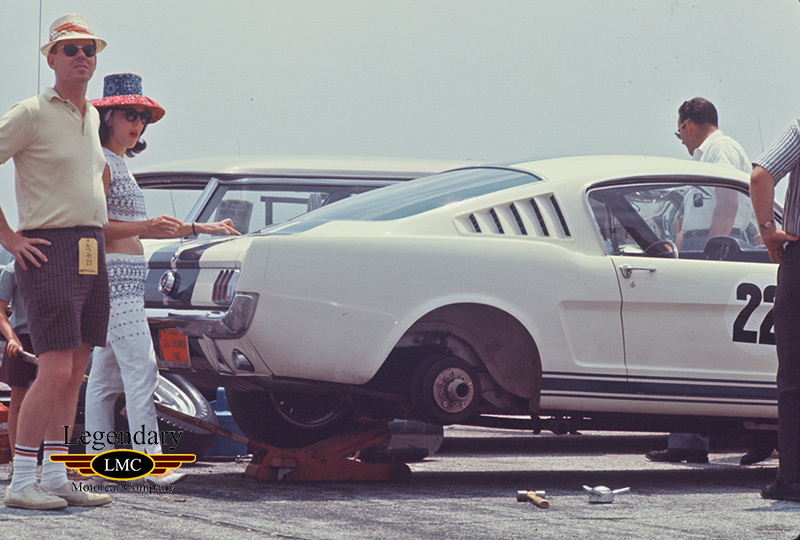 In 1965 Ford had been spurned by the SCCA, the sanctioning body for amateur sports car racing in this country. 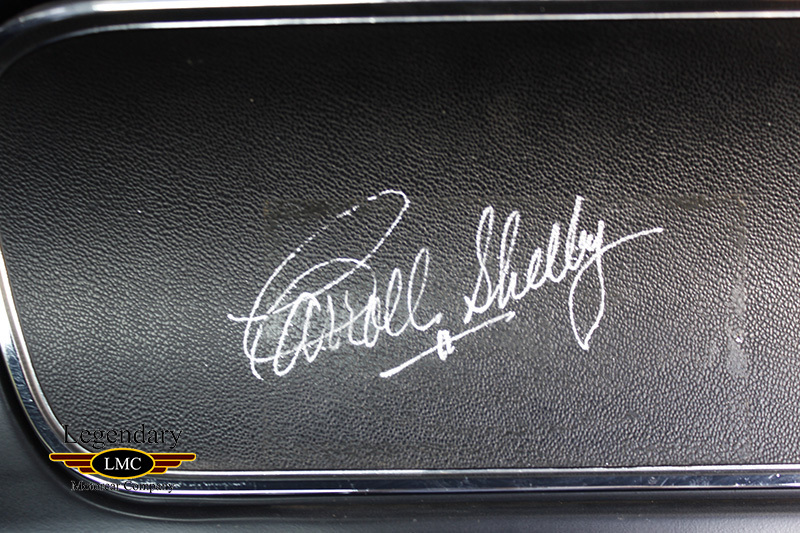 The severely independent SCCA seemingly did not appreciate being muscled by a large corporations, so Ford turned to Carroll Shelby. 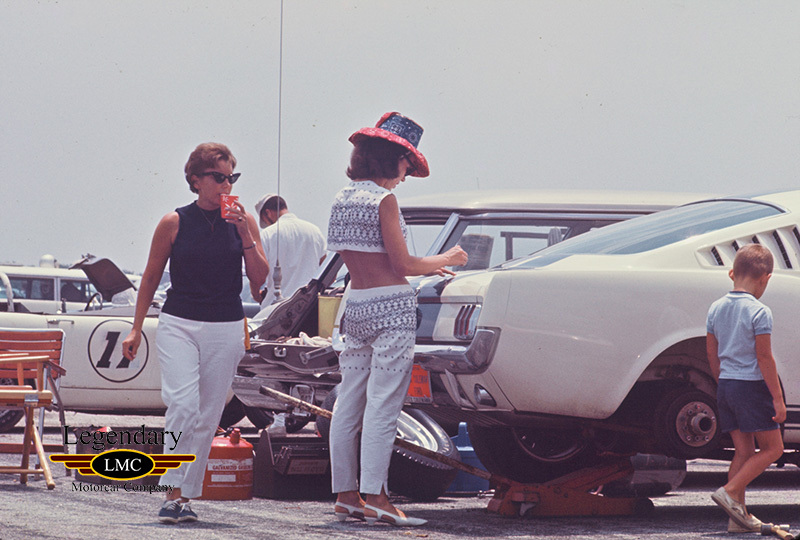 The SCCA said in order for Carroll's cars to be sanctioned, there needed to be 100 of them. 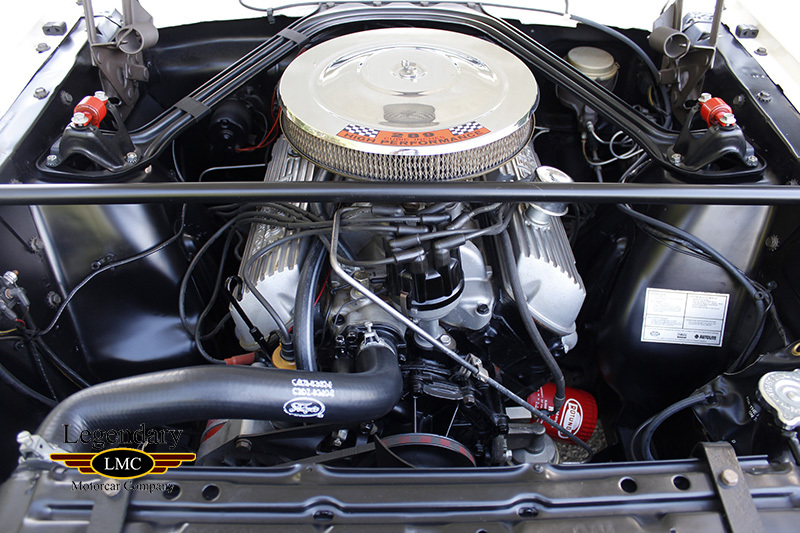 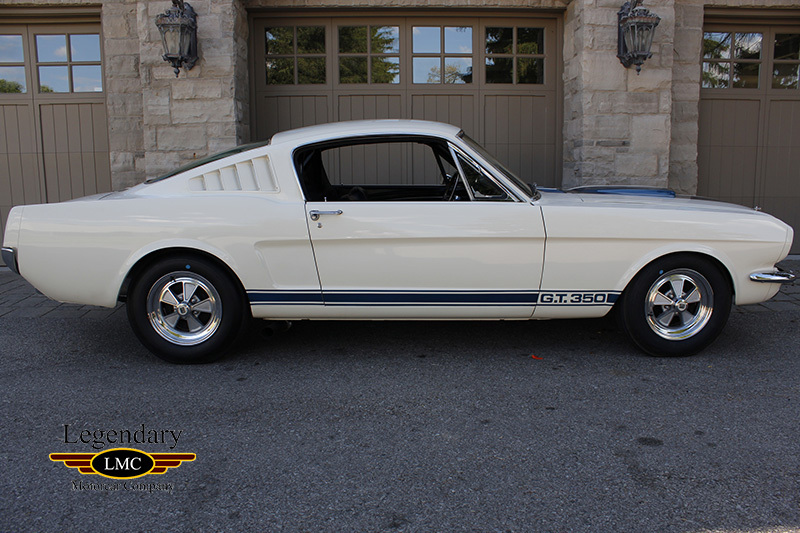 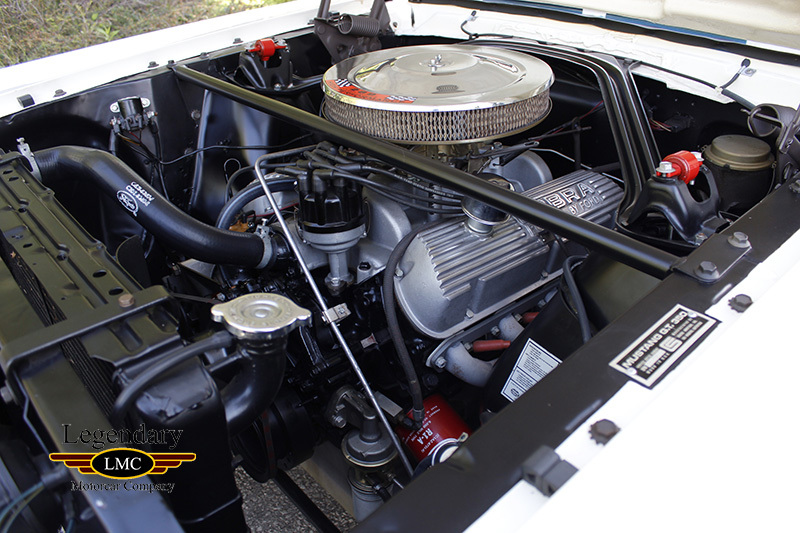 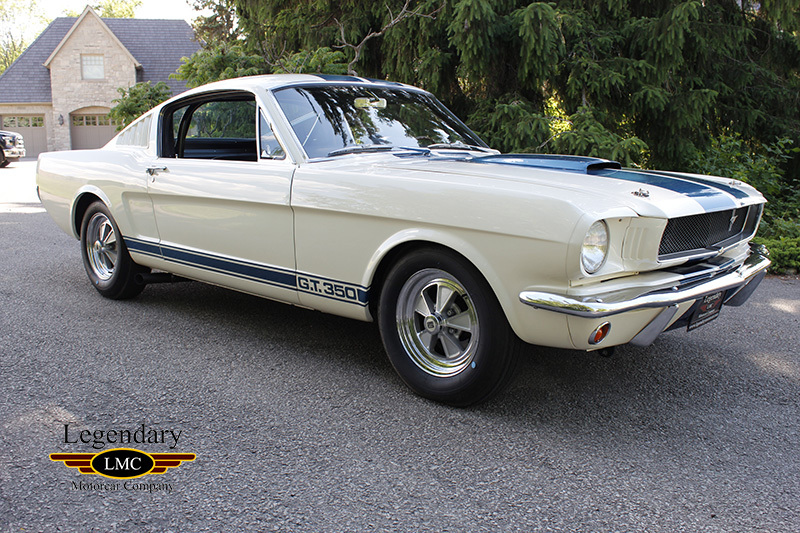 This car was received at Shelby American from the factory on December 23, 1965 where it remained until work was completed shipped out new to Ray Hunt Ford, Daytona Beach, FL. 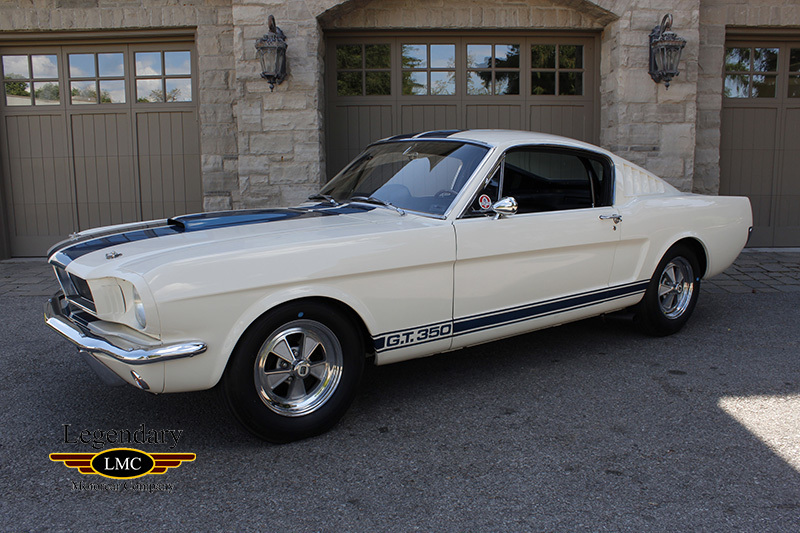 on March 8th, 1965.This car was an original LeMans striped car and fitted at the factory with the optional Cragar special alloy wheels. 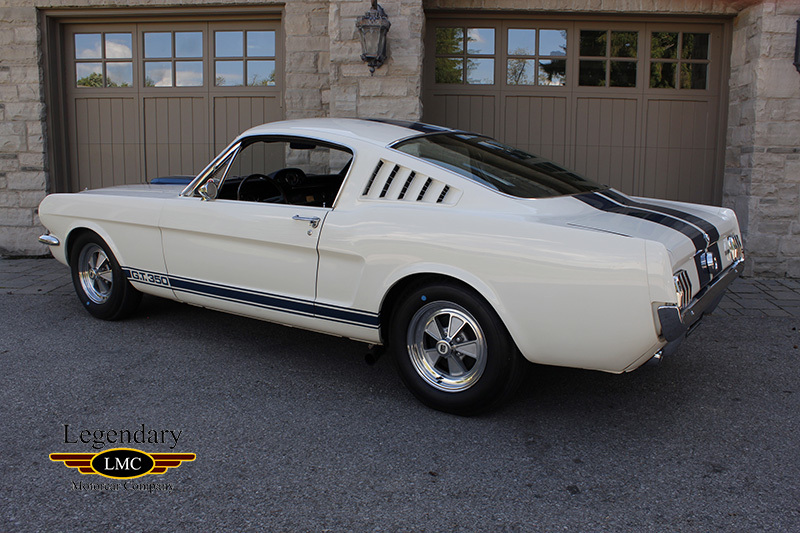 This GT350 is Serial #69 of the first legendary 100 built. 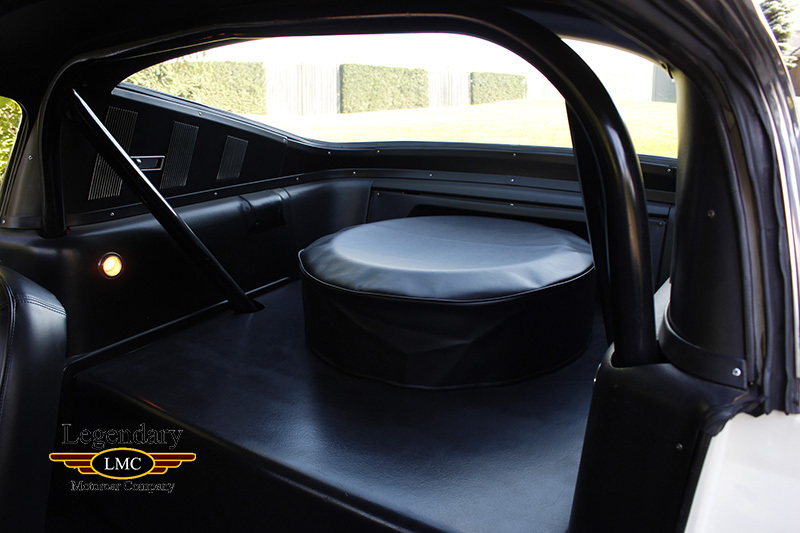 What makes this car so special is that it raced in the SCCA, driven by original owner William Floyd. 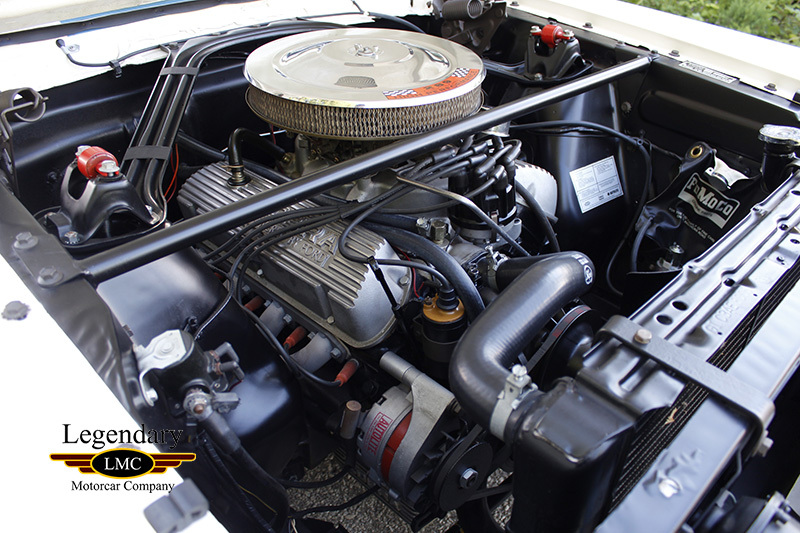 This car took First Place at the Daytona Nationals and finished 8th overall. 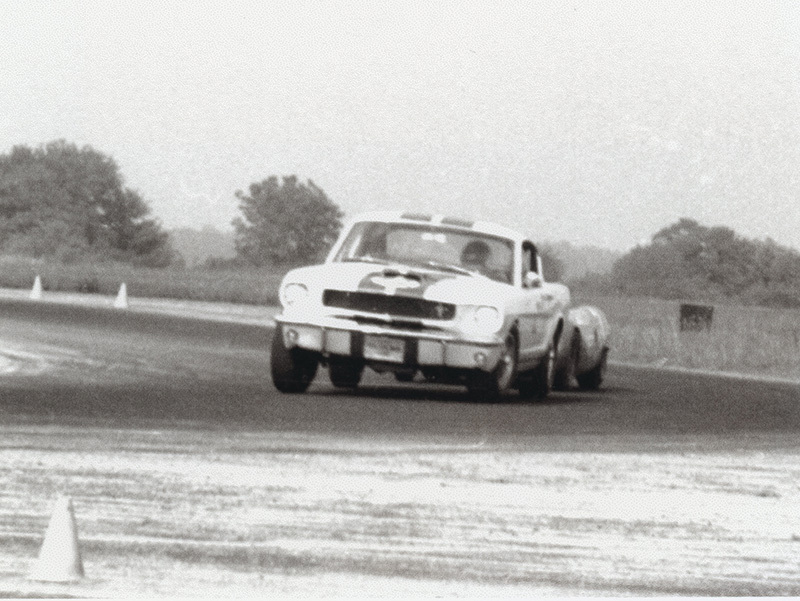 Floyd competed in other events finishing 1st in B/P three times and 1st in the SCCA Southeast Region, which also made him one of the National Champions in B/P that year. 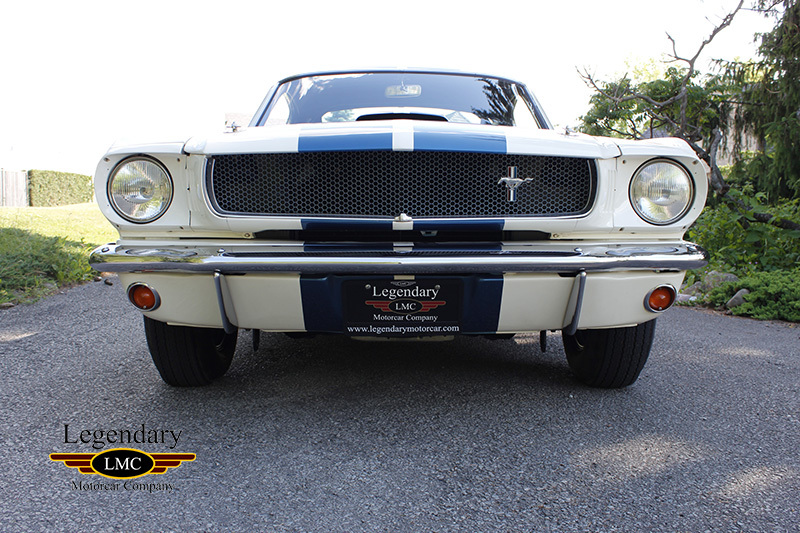 This special car made history doing what Carroll Shelby intended and took First Place doing it. 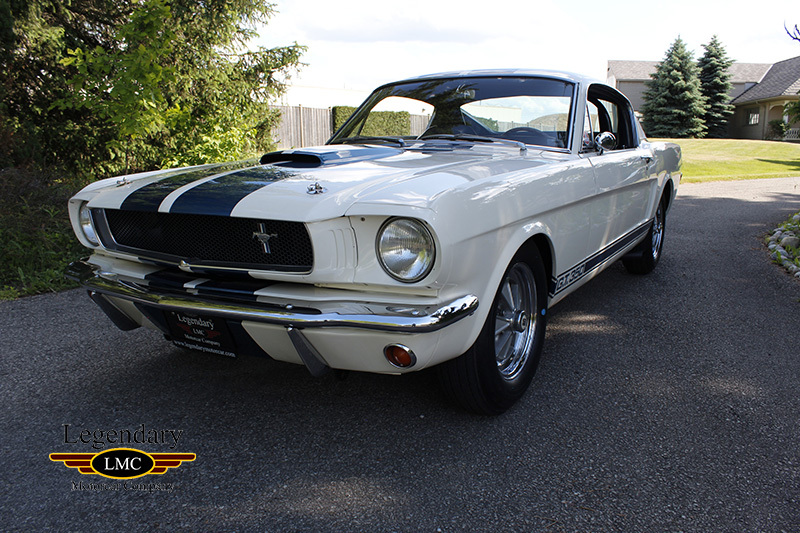 The overall look and unmistakable sound of the car are the factory side exiting exhaust just in front of the correct Blue Dot tires mounted on factory Cragar wheels. 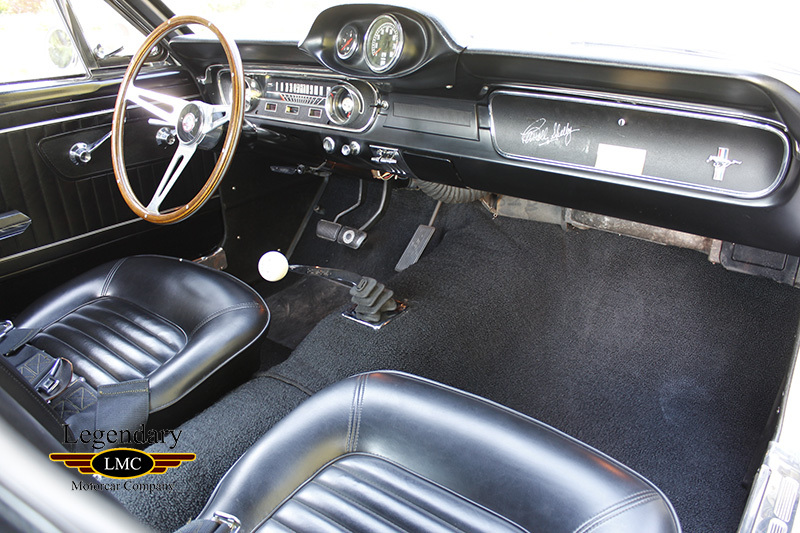 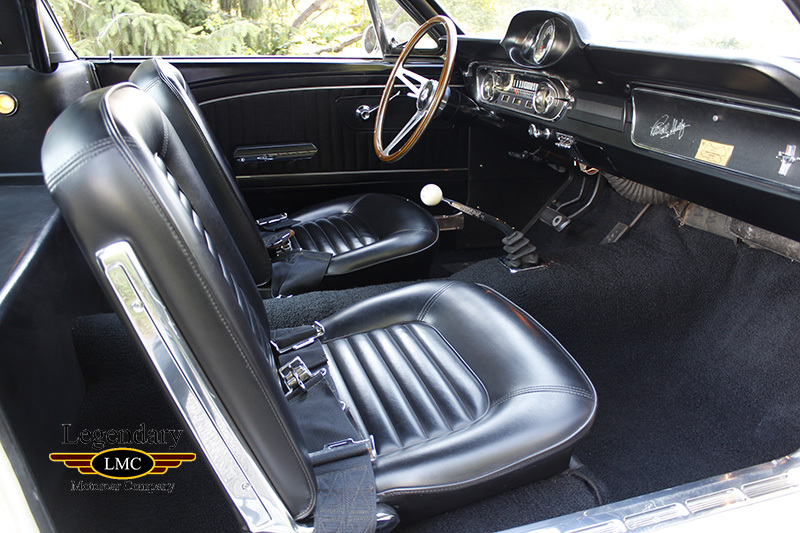 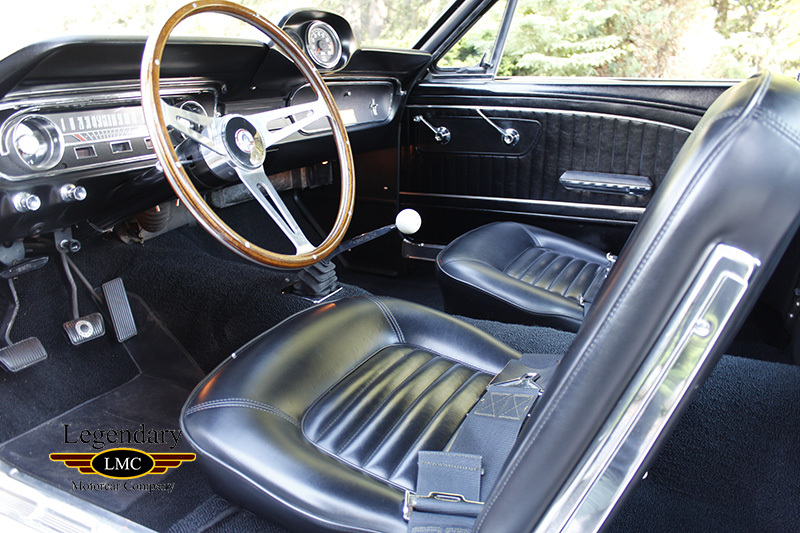 The interior is correct with dash mounted pod with 8,000 rpm tach and oil pressure, racing seat belts, 15" wood rimmed steering wheel and factory radio delete plate. 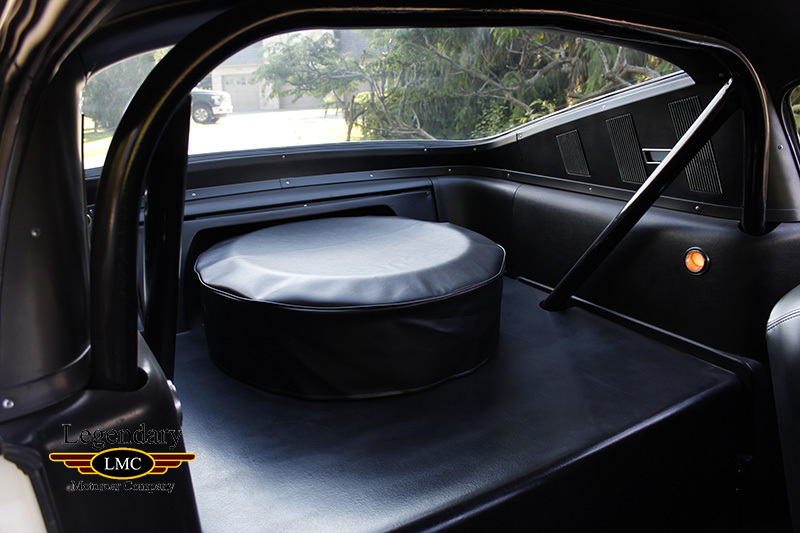 On a hoist and you will discover the undercarriage to be in excellent condition with original pans, Koni shocks and T-10 transmission. 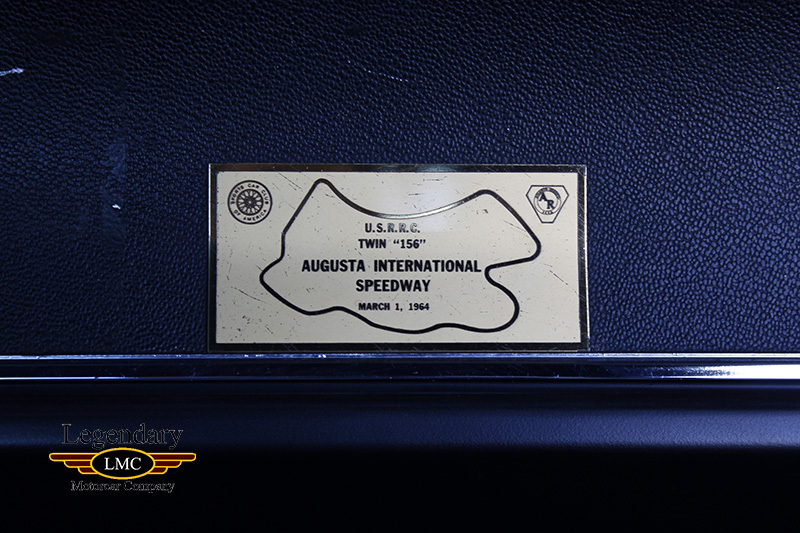 Documented with a copy of the original invoice, documented racing and owner history in the Shelby Registry and signed by Shelby himself. 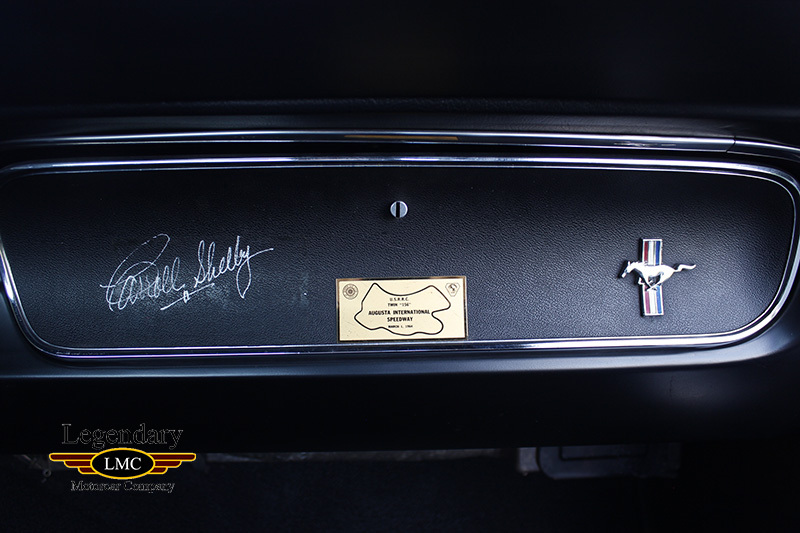 The car history and racing history are verified by Howard Pardee of the Shelby Registry. 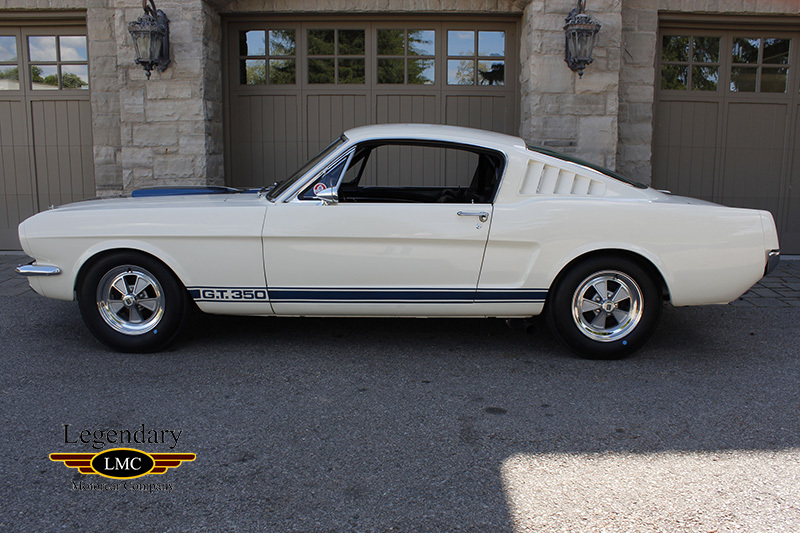 An example of American muscle car history, the 1965 Shelby GT350's were the first of their breed, purpose built, very rare and very unique. 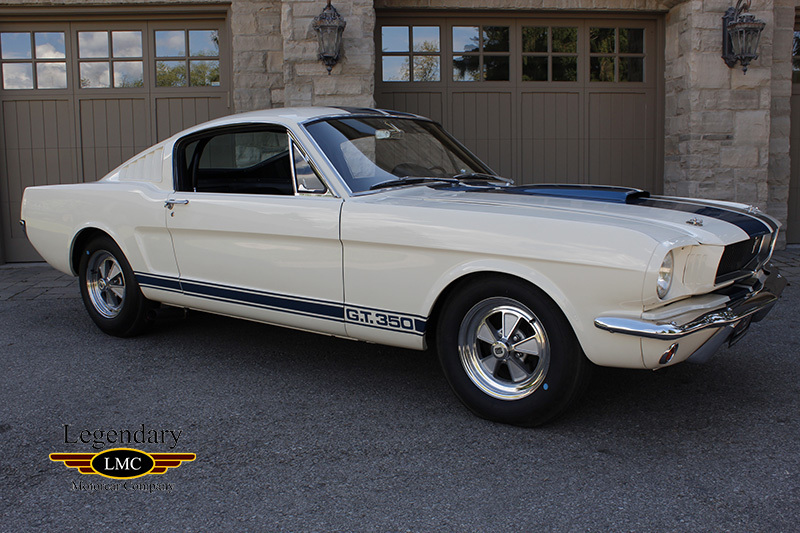 With these characteristics combined with full documentation, race history and beautiful restoration, this GT350 is one of the greatest GT350s in the world. 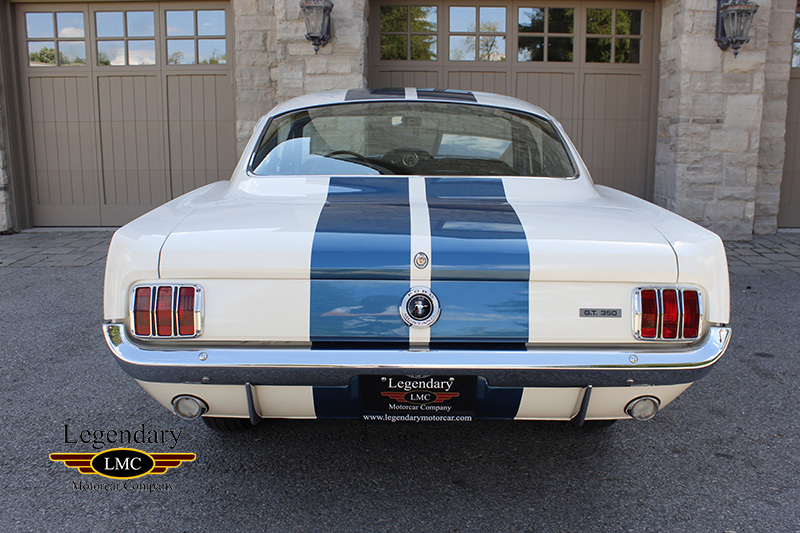 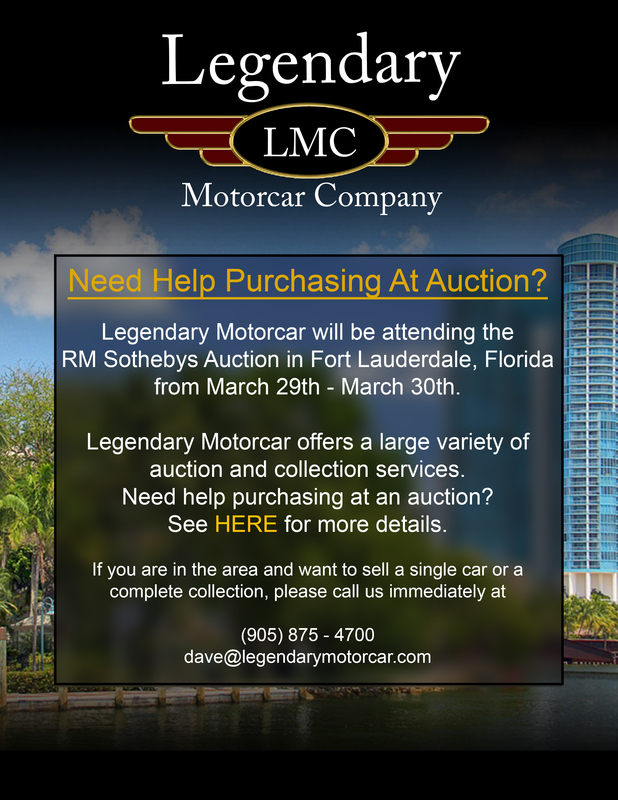 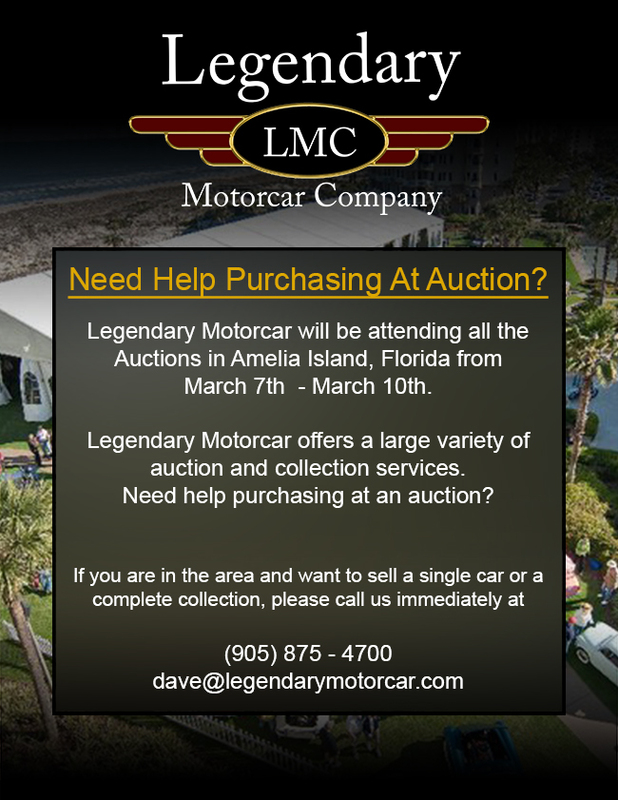 Legendary-Motorcar-Company-Ltd-2016-104 Ford 1965 Ford Mustang Shelby GT350 2016-104 0 Legendary Motorcar Company Ltd.